KM+ Fuel Saving Additive is a proven formula for saving fuel (Petrol & Diesel). KM+ instantly improves quality of liquid fuel the moment it is mixed. All vehicles (cars, motorcycle, buses, trucks, boats) & any combustion engine (heavy machineries, generators, internal combustion engines) benefits from KM+ the moment it is added into the fuel tank. KM+ is 100% formulated from natural plants esters. It is non toxic, environmental friendly and biodegradable. It is a well researched matured formula. It is non flammable& leaves no ash nor gum behind when it is burned with fuel. It is designed to address today’s competitive requirements for engine performance, fuel saving, maintenance and protection of combustion engines as well as fulfilling social responsibility of keeping a greener earth. A Truly Green Fuel Technology. KM+ Fuel saving additive is one of the best fuel saving additives in Pakistan. KM+ Fuel Saving Additives also works as fuel injector cleaner. It is worth mentioning here that it helps to reduce the diesel black smoke. Other leading brands are Liqui Moly Fuel System Cleaner, STP Fuel Injector Cleaner. 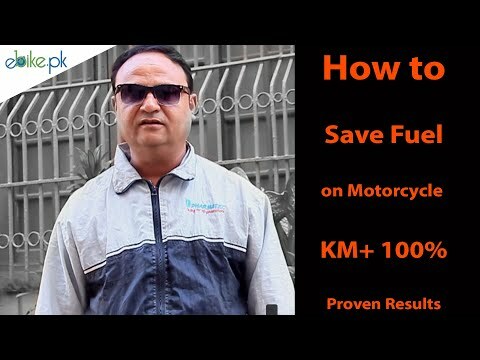 Please watch: "A Must Watch Video by ebike.pk"